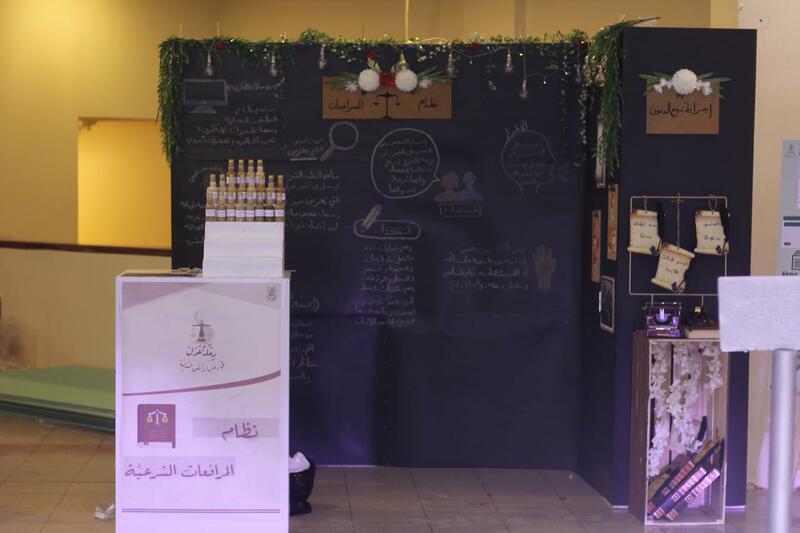 Under the auspices of the Department of Regulations at the College of Judicial Studies and Regulations, the activities of the "Journey of Justice" exhibition were held under the supervision of Dr. Maha Bint Himdan Al-Rifa`i, an academic staff member at the Department of Regulations, on Monday and Tuesday, 22-23 Jumada Al-Awwal, 1440 A.H. 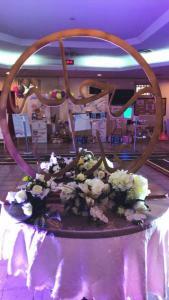 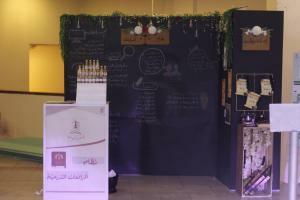 The "Journey of Justice" is the first legal exhibition of its kind at Umm Al-Qura University. 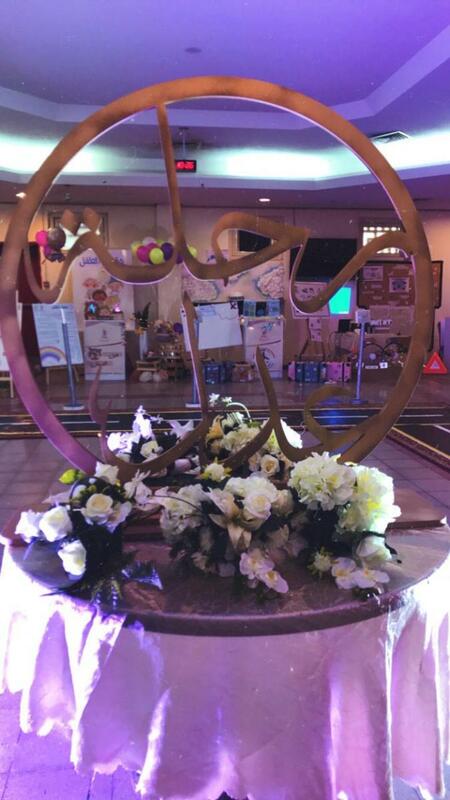 The exhibition was attended by: Dr. Sarah bint Omar Al-Khuli, the UQU Vice President for Female Student Affairs, Her Excellency Dr. Halah bint Sa`id Al-Amoudi, the Dean of University Studies, Her Excellency Dr. Faridah bint Muhammad Al-Ghamdi, the Vice Dean of University Studies, Dr. Amal bint Omar Sandi, the Vice Dean of Student Affairs for Counseling, Guidance, and Community Partnership, Her Excellency Dr. Khulud Aboulnaja, the Vice Dean of Student Affairs for Activities and Student Training, Her Excellency Dr. Mayson Al-Bunyan, the Vice Dean of Postgraduate Studies, Her Excellency Dr. Hissah bint Fahd Al-Sharif, Deputy Head of the Department of Regulation, and a number of the college vice deans, academic staff, affiliates, and students. 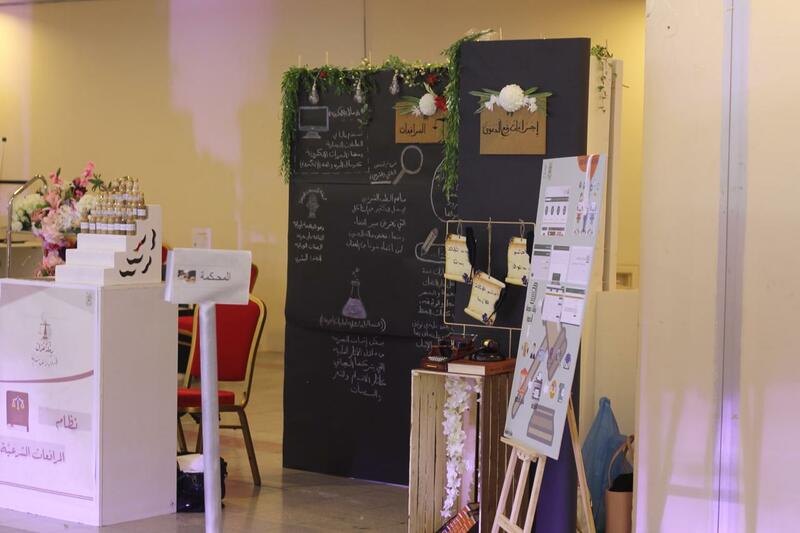 The exhibition consisted of several sections that defined and explained the most important legal systems, explained the jurisdiction of the courts in Saudi Arabia, and explained the most important rights of citizens. 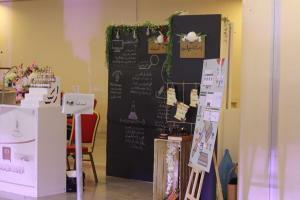 The exhibition was highly admired by visitors and resonated powerfully both inside and outside the university. 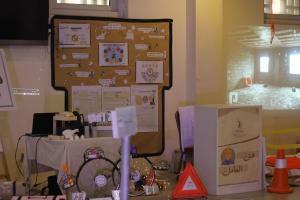 For more information about the activities of the "Journey of Justice," please click here.